Preflight, automatically fix and edit PDF files in Adobe Acrobat. PDF files can be painful to work with. Your customers don't deliver them as expected, they don't output as you want them to, and more than often you need to edit the PDF even though Adobe Acrobat doesn't support it. PitStop Pro is a plug-in for Adobe Acrobat that offers the solution to your problems. 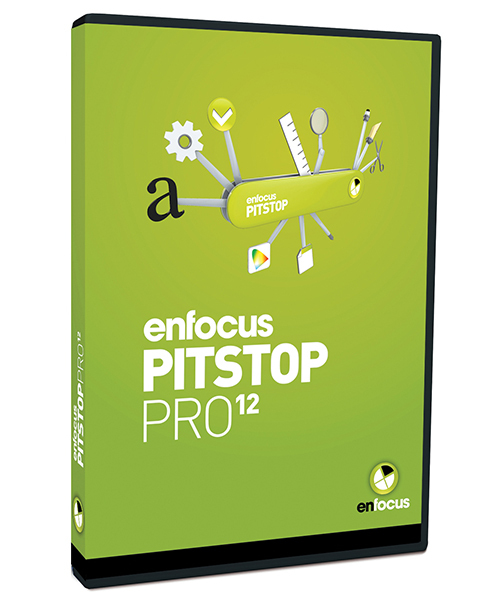 With PitStop Pro, checking and editing a PDF will be a piece of cake! Checks your PDF file to see if it's fit for purpose, and gives you an understandable report when there are problems. Automatically fixes the most common errors in your PDF files. Lets you manually edit almost everything in a PDF file without leaving Adobe Acrobat. Our customers have reported that lack of bleed is still a major issue. We're pleased to announce that we've cracked that nut! PitStop 13 will automatically add bleed to PDF files! In PitStop 13, messages can be customized to reflect non-technical language that can include suggestions for corrections if necessary.